EASIEST GUIDE: USING YOUR HOME NETWORK WITH A HOST OF TOOLS ONLY! Greetings! 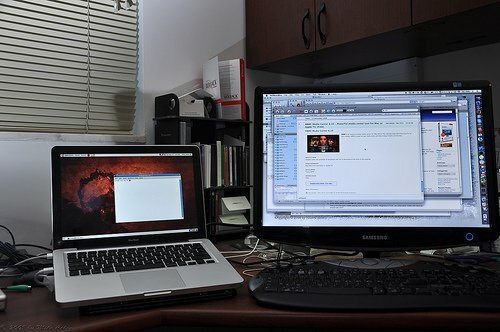 Did you just plan to use your laptop as a monitor and increase your productivity? Let me tell you one thing here. Though its such an old era plan and not according to the trends nowadays, but to use your laptop as a monitor has multi benefits. Moving on the controversial side, I also go with the rule that if once you mix sugar, eggs and flour to make a cake; its verily very difficult to turn back the cake into its components! Well, Im here to present the easiest ways regarding how to use your laptop as a monitor. (Or how to split your cake back into its components ? ). Creating your own monitor-laptop setup is not at all an easy task but once you have achieved the combo your productivity level is surely boosted. 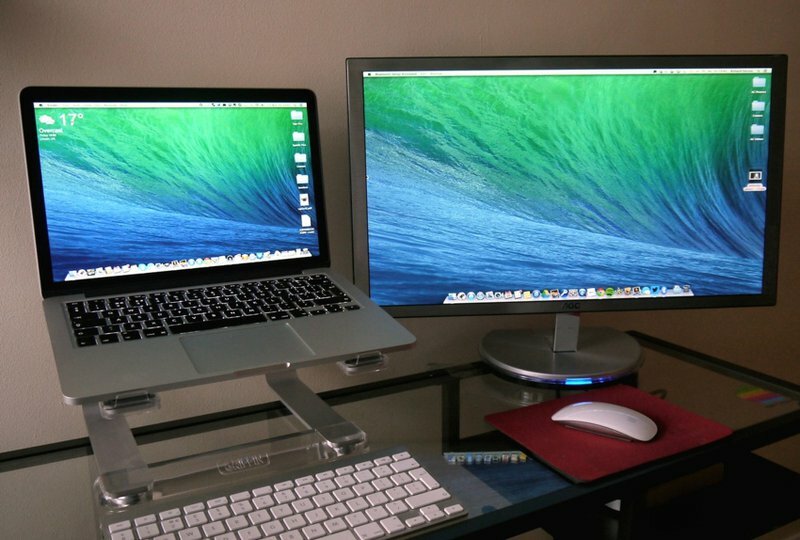 After reading this article you’re about to create your own monitor-laptop setup WITHOUT USING ANY CABLES. Yes, you heard it absolutely right. Gone are the days for the HDMI cables to make connections between your electronic devices. And I don’t even remember the last time I saw HDMI input/output cables for such a purpose. 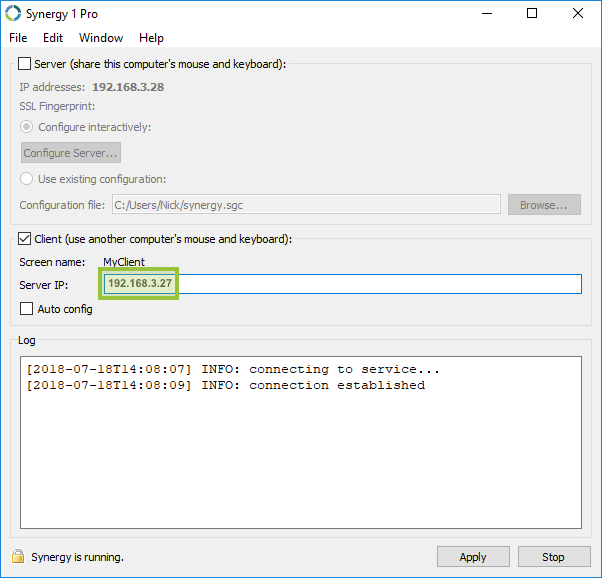 Also, a detailed procedure on How to use Synergy for the connection is already here too! Several application have been introduced for this purpose, the most user friendly ones being Synergy, Share Mouse, and Multiplicity. I will introduce them to you one by one, presenting the best one for you as well. 1. SYNERGY- The most popular one/ EDITOR’S RECOMMENDATION. 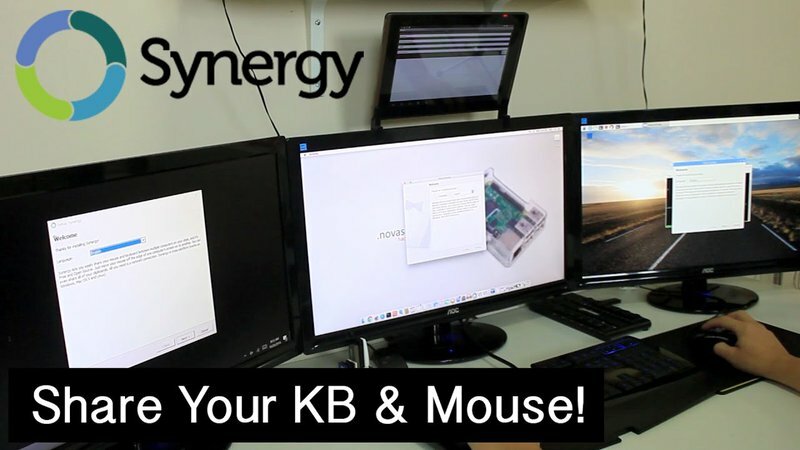 Synergy, the most commonly used application that creates a cohesive combination of a monitor with a laptop. As the app developers claim, it works like magic! It’s compatible with all the laptops versions and is easy to use. Synergy comes with an auto configuration tool and a network wizard as well. To know how to use the Synergy application check out the steps below. You might be interested in What Laptops last the longest. To download the application, visit any setup provider site. After the loading is completed, click on binaries. GO WITH THESE FOR YOUR RESPECTIVE LAPTOP MODELS: .rpm for linux, .gz for mac OS X, .exe for Windows XP. After installing the file, now you need to set up your client. Click on the client button and write the server’s name in the text box. Now go to the advanced settings, choose your name and type the port number. When a window opens up, click on the + button in the upper left corner of the window and add your screen name(Client’s name) and the servers screen name. Exit the screens and the window. Now you need to set up the server. Move the machine next to the client. 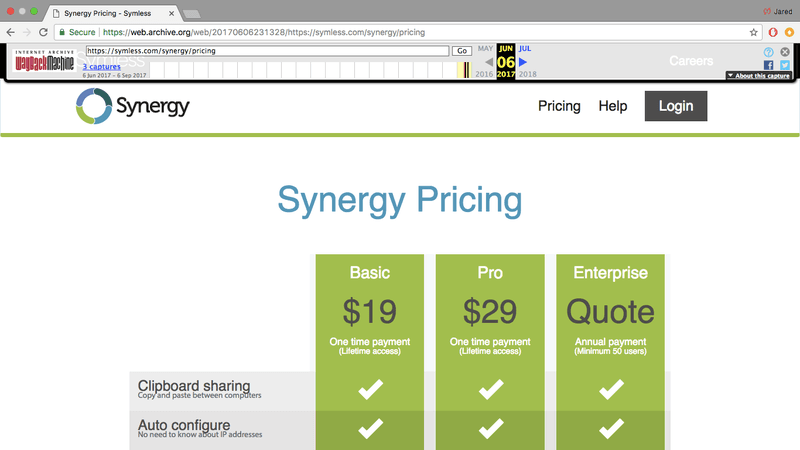 Download and install Synergy like the way you did for the client machine. In the window, click on the button near, ‘Share this computer’s keyboard and mouse’. This machine is now the server that would be controlling other computers. Now in the window, click on the + button in the upper left corner of the window and add the servers name and the clients screen name. The servers name is to be added as your screen name. Exit the screen and the windows. Last step, set up the screen sharing. · Open the synergy application on the server, and go to the screens and links column, at the bottom of the window you would find an option called, ‘Links’. · To establish the link know the direction of the server and the client. Go down to the first drop down box in links and choose what direction in in between the client and the server. On the second drop down box select the server name and on the third select the clients name. · Now click on the + button at the upper left corner of the window (for the last time promise ?). Reverse the inputs. The place you put the clients name, add the servers name there and the place where you put server, you have to type in the client’s name. YES WE ARE DONE! GUYS! Synergy isn’t free at all, however it comes in nice packages. A basic version for $10 and a pro version for $29. BOTH ARE LIFETIME LICENSES. So no need to worry about the expiry dates. Comes up with an interactive monitor manager and a drag and drop tool. A slight screen faded feature added to let you concentrate on the other screen if one isn’t in use for a moment. For your ease, I found this Youtube video tutorial that guides you completely through the Tutorial. 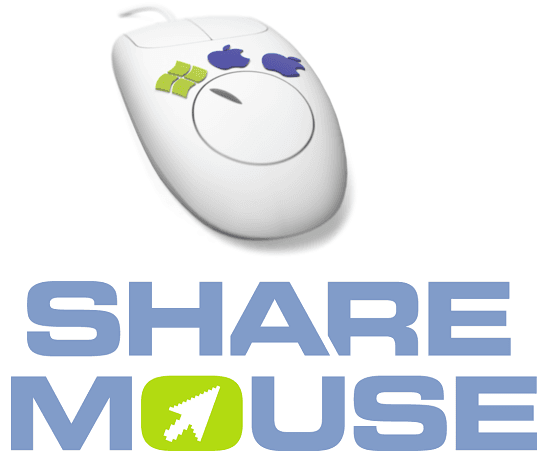 The best thing about Share Mouse is that its free for the non-commercial usage. This means that without any bucks you have the freedom to connect two screens and enjoy multitasking! For professional usage, upto a connection between 19 screens set aside at least 49 dollars! · Licenses are valid lifetime. · You get free updates and other packaged services for the professional usage. · No network slow down, only uses some of the bytes. Now the last one, and the most delighted application for Commercial use. 3. MULTIPLICITY- Connect upto 50 screens! For the Elite club, who want a nicely designed User Interface, with advanced features and working of the application; this is the best option. It has a free trial but once this runs out you will be asked to select a license package which would cost you 19.99 dollars for once. For up to 50 screens, the overall cost becomes about 325 dollars. It is great for business use and for companies demanding monitor sharing but I wont suggest this application for you to use your laptop as a monitor. 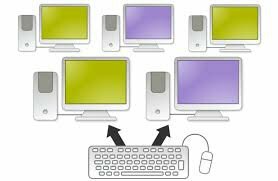 I can say by now you might be having a clear idea in your mind, which set of tools you are going to choose to use your laptop as a monitor. If cables annoy you a lot, this guide can serve you best with multiple options using just the home network. SUFFERING FROM A DIRTY LAPTOP? Know about How To Clean a Laptop Touch Screen. I have prepared a list of Frequently Asked Questions, which would cover a lot of your doubts! Are the methods best for gaming too? No, I have a separate article for all the gamers out there. I would not suggest you these tools for developing a monitor- laptop connection for gaming. For how much days Multiplicity is on a free trial? You can enjoy the application for a time period of 30 days. Does Share mouse require constant internet connection? No, you only need a connection during the times of screening setup and licensing. Yes, Share Mouse is free for a connection of two screens. Does Synergy offer a Clipboard? Yes, a clipboard which can be accessed by all screens you are connected to. Is Synergy compatible with MAC? 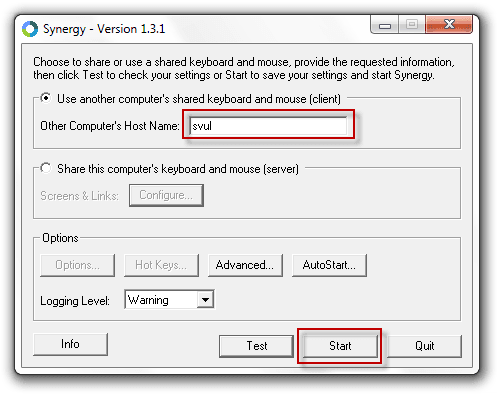 Yes, Synergy is compatible with Mac, Linux as well as Windows Operating system. And that’s why its my absolute favourite! Multitasking made very easier. No need to adjust screen ratios between Chrome and Microsoft Word. Increase the number of features, proceed to advancements. Prioritize your work according to your needs. This article tells you about setting up the connection using minimum external resources. I hereby hope you just don’t end up watching movies on the laptop while working on your monitor and decrease your productivity instead of boosting it! :D Also, You may want your laptop to get connected to a TV? If you are a working person, such as playing around with CAD, or Language software or even a media director who has to deal with loads of photos and videos editing, creating a monitor-laptop connection is going to be GREAT for you. This won’t only increase the amount of work you will be doing but it would also impress your boss and increase your pay! ?